On-ear vs Over-ear vs In-Ear vs Earbud Headphones - Which one is right for you? How am I suppose to narrow these options down and where do I even start? Luckily, they all fall into 4 categories– earbuds, in-ear, on-ear and over-ear headphones. In this article, I’m going to explain the differences between each type of headphone, the disadvantages and advantages, and available features that enhance the headphone experience. Hopefully by the end, you have an idea of which headphone style works for you! Once you have this information it’ll help you narrow down the type of headphone you would like to invest in. Introduced to the mainstream in the 1980s with the Sony Walkman, earbuds didn’t hit a peak in popularity till after 2001, when Apple started selling them along with its flagship iPod music player. 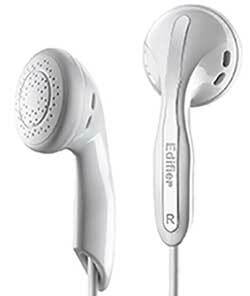 Earbuds sit on the outer concha ridge of the ear – the bit of cartilage that is just before the start of the ear-canal. The design of earbuds comes with some inherent flaws. Noise isolation is pretty poor and if you’re moving about a lot, it’s pretty easy to dislodge them. You probably don’t want to wear them when exercising! Noise isolation is the ability of a headphone to block out external ambient noise. Good noise isolation would mean sounds like a conversation between two people, or general public noise on a train are dampened to the point where you can easily hear whatever you are listening to. This significant drawback has lead manufacturers to introduce hook and clip designs (more on this later) that secure the earbuds to your ears. Since outside noise can easily seep in, you’ll likely want to turn the volume up higher causing a greater chance of hearing loss. When it comes to sound quality, earbuds can be surprisingly good but they generally lack the bass and soundstage of larger headphones due to smaller a smaller physical size and driver dimension. Ok, first thing’s first, these are not earbuds! You can see from the picture that they do look a lot similar to your typical earbud but they come with one striking difference – the way they fit in your ear. As the name implies, in-ear headphones actually sit inside the ear-canal and may also be known as ear-canal headphones or earphones. Because they essentially block the ear passage, they provide a good level of noise isolation. This makes them well suited to using in public areas, like the gym or on a bus or train. This isolation is dependent on how well your ear-canal is sealed up, and if the headphone is shallow or deep fitting. The deeper the fit, the more isolation you’ll get. When you receive in-ear headphones with a new smartphone or you just buy them by themselves, they should also come with ear-tips. Usually they are made from silicone or memory foam and come in 3 sizes – small, medium or large. You basically attach your preferred size to the end of the headphone speaker (no tools required) and off you go. Whilst such earphones provide solid sound fidelity and block out external noise, they also have a couple of drawbacks. They can be pretty uncomfortable at first, as you are squeezing them into the ear-canal. Some people (myself included) never get used to the feeling and opt for earbuds instead. Here’s a fun biology lesson, because they are actually in your ears, they will be treated as a foreign object and stimulate the production of ear-wax as a protective way of preventing the ear-phones from drilling deeper into your canal. Earphones can also get dirty by picking up loose hair and wax already in the ear-canal. Hence, it’s a good idea to invest some cotton buds to clean your ears before and after use. There is actually a pretty scientific term for this type of headphone – ‘super-aural’. Basically, they sit on your outer ear and cover your ear canals but are not large enough to cover your entire ear. Noise isolation isn’t as good as your ear-canal is not sealed nor is your ear completely enclosed by ear-cups. This trade-off makes way for great comfort and sound quality is typically better than you would find in earphones or earbuds. This is because the on-ear style is a larger breed of headphones which leads to larger drivers meaning you can get greater bass impact and more open sound production. Ear sweating, a common issue with over-ear designs is less of an issue so you probably won’t be waking up one day to the smell of stinky cans! Even though they are significantly larger then in-ear headphones or earbuds, they are still smaller then over-ear headphones. Basically, if you’re looking for headphones that produce high quality audio and are still very portable, on-ear headphones are your best bet. 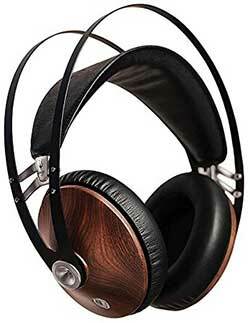 Over-ear or ‘circumaural’ headphones are headphones that cover the entire ear. If you’re serious about sound, then over-ear headphones are the way to go. They are the largest type of headphones and so are not the best when it comes to portability. Many of them also don’t fold up. Essentially, if portability is your number 1 priority, then look elsewhere. I can’t stress enough how important it is to do your research with this type of headphone. You can get excellent comfort, sound and noise isolation if you find the right pair. Noise isolation can be fantastic with this type, especially with closed-back models, which I’ll explain later. Because it encloses your entire ear, it naturally blocks out external noise. If we throw in active noise cancellation than this ability is taken to a whole new level. It’s important to realize that there are actually two types of over-ear headphones; closed-back and open-back. Each one comes with its own advantages and disadvantages. Closed-back: This is when the ear-cups are closed (i.e. are not grated, perforated or semi-open). They provide better noise isolation at the expense of worse sound quality as the closed-back design inhibits the sound from moving away from you. This creates more a more unnatural sound that is less ‘roomy’ and more ‘in your head’. Open-Back: The ear-cups feature an open or semi-open design. Noise isolation isn’t good but sound quality can be excellent. In fact, the best headphones are open-back, like the Sennheiser HD 800. Sound travels towards and away from your ear, providing a more authentic and detailed sound experience. 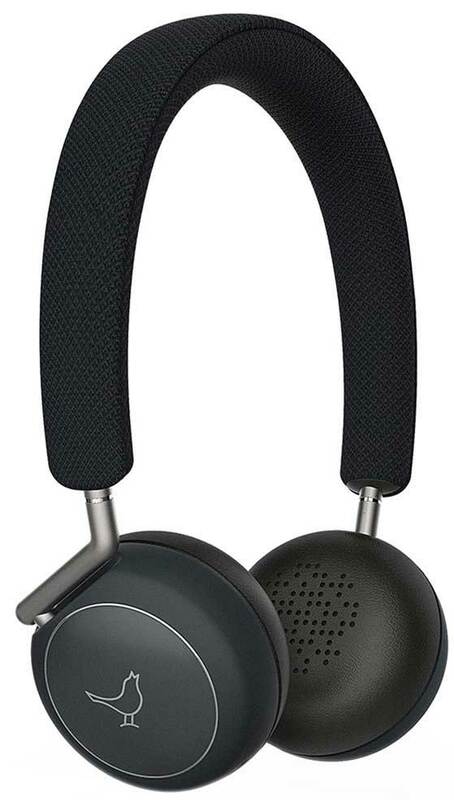 Overall, over-ear headphones can provide excellent comfort and sound production. Note that they are prone to sweating, so check out this guide for ways to maintain and clean your precious cans! When we put all this information together, we get the showdown matrix! There are 4 factors that come into play here – comfortability, portability, sound quality and noise isolation. There are always exceptions, but in general this is the level of performance you can expect from each headphone type. So we’ve listed and described the benefits and disadvantages of each headphone type. Now I’m going to briefly go over different features that you’ll find in some or all of these headphones. You’ll find that many features either enhance the strengths or make up for weaknesses in each of the different headphone types. Once you’ve decided which type of headphone works for you, it’s a good idea to consider these features as a way of enhancing your listening experience. Many headphones nowadays are shipping with a wireless ability. Some manufacturers have even gone a step further and only offer a wireless mode. This is a fairly recent trend and seems to be hitchhiking earbuds and in-ear headphones more than any other style. Offerings from Jabra and Motorola are just some brands producing wireless only models. These are mostly aimed for sports enthusiasts, where the small form factor of earbuds and in-ear headphones is advantageous. However; wireless functionality is showing love for the larger style headphones as well, with many headphones such as the popular Beats Studio Wireless shipping with a wireless mode. Sure, sound is generally better when your cans are wired up (although this gap is slowly closing with the release of newer codecs), but having a wireless settings makes traditionally stay at home headphones more portable and travel friendly. Both these features enhance two things: comfort and portability. Clip-on headphones: You know how I mentioned how uncomfortable in-ear headphones can be? What about earbuds? They are a bit more comfortable but they also tend to fall out quite often. In comes the clip-on headphones which is essentially a clip that attaches to your ear to secure the headphones, thereby increasing both comfort and portability. A win, win! Clip-on headphones are perfect for people who want to work-out, run or do any physical activity whilst listening to their favorite music. As a bonus, they are usually water and sweat resistant. Behind-the-neck headphones: As the name suggests, behind-the-neck headphones, or ‘neckband’ headphones have wires that rest behind the neck, instead of hanging in front of your chest. You’ll typically find a bit of technology packed into the neckband as it’s thicker than if the whole piece were just wires. Wireless Bluetooth and even active noise cancellation are common features packed into the portable design. They might not be the most stylish headphone design, but nevertheless, they have seen a rise in popularity recently due to the technology they offer and secure and comfortable fit. These two features are extremely common and you’ll typically find them being implemented in any headphone type. There are two types of microphone implementations – the headset and the in-line microphone. The headset is a favorite with gamer’s as the microphone is close to the mouth providing clear and concise communication audio – perfect for chatting to your teammates. Due to the size of the microphone you’ll find over-ear and on-ear headphones adopting this microphone style. The in-line microphone is a far more discreet implementation. It is actually built into the wire or headphone itself. If you have the apple EarPods, take a close look at them – the in-line microphone is situated where the volume controls are. In-line mics are great for making phone calls and typically come with earbuds or in-ear headphones. However; you’ll also find them in larger headphones like the Sennheiser Momentum 2. 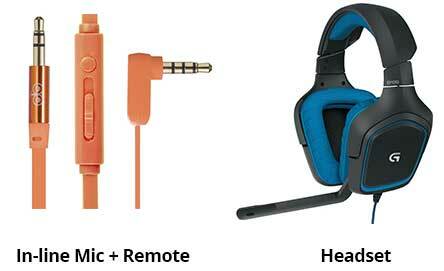 Compared to headsets, in-line microphones are more durable as there is physically nothing to bend or grab. There is also less moving parts. If aesthetics is a priority to you, you’ll also probably enjoy the discreet and sleek nature of the in-line microphone. In-line microphones aren’t perfect though – the microphone is usually further away from your mouth, meaning audio is harder to pick up. Audio fade-in and out is another common issue as the microphone doesn’t track your mouth movement. Furthermore; record quality can be lacking and ambient sound can easily be picked up along with your voice. Lastly, headphone remotes may be either part of the headphone or wire (especially common with in-line microphones). Essentially, you can control things like microphone volume, sound volume and even what songs you are playing. This makes them especially useful for listening to music with phones as they will save you the hassle of having to look at your screen. I mentioned this earlier but didn’t really explain what it means, so here goes. Active noise cancellation works by reducing unwanted sound (in this case, ambient noise) by using a microphone to measure ambient sound, and then produce a waveform that cancels out the sound. Many headphones, primarily over-ear, on-ear and in-ear already have natural noise cancelling properties that is known as passive noise cancellation. This is basically their ability to cover and seal the ear using the ear-pads or ear-tips. Hence, ANC provides another layer of cancellation that further blocks outside noise. What’s the result of this? Well, you’ll be able to hear the music you’re listening to at low volumes, even when there is a lot of ambient noise. If you intend on using your headphones in public places, like on trains, buses, offices or even at the gym, ANC can prove to be a wise investment. The popular Bose QuietComfort 35 is a great example of this technology and actually provides one of the best noise cancellation experiences. 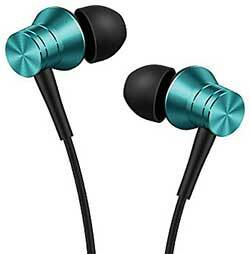 Earbuds and in-ear headphones are great for portability, with the in-ear style providing excellent noise isolation. If you want something that produces better sound quality and is still pretty portable, on-ear headphones are your best shot. Finally, if you want the best sound quality money can buy (especially if you’re an audiophile or audio professional) then over-ear headphones will suit your needs. Having said that, is there one particular style that is actually the best? Of course not! You need to discover for yourself which style will benefit you the most. I hope this article has served its sole purpose of pushing you in the right direction. Perhaps now you have an idea of the type of headphone you want and what features you’d be interested in having. As always, feel free to leave any comments or questions below. Happy headphone hunting! Isaac is an I.T. professional and self professed audiophile. 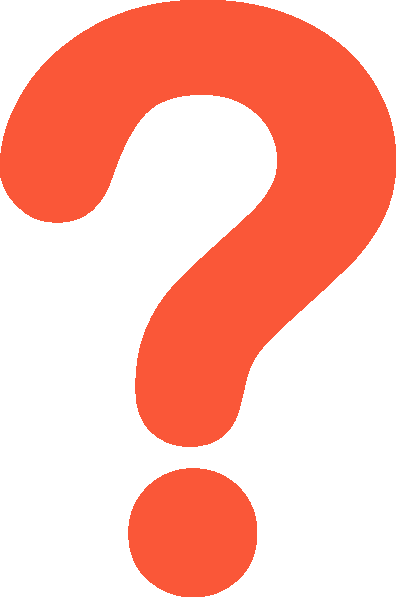 He has a passion for everything electronic and loves reviewing and testing the latest gadgets.